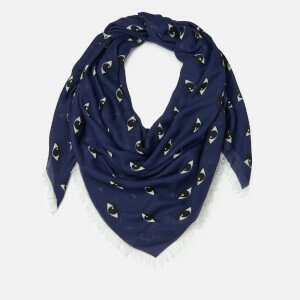 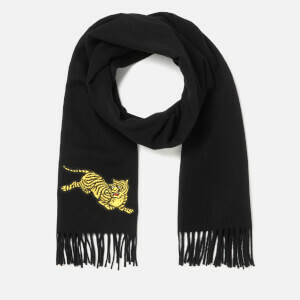 Red KENZO scarf decorated with the Parisian fashion house’s iconic eye pattern. 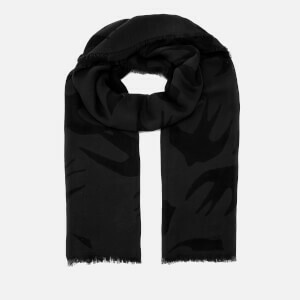 Crafted from a luxurious silk and modal blend, the large square-shaped scarf can be worn in several different ways. 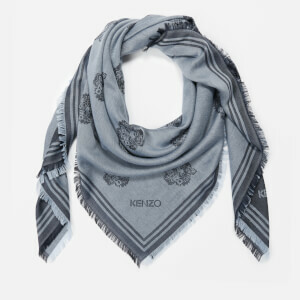 Complete with white fringed edges and signature KENZO branding.